(CNN) - Two Israeli soldiers were shot dead Thursday at a bus stop on a main road in the Israeli-controlled part of the West Bank, the Israeli military said. A third soldier and a fourth person were wounded in the incident, according to officials. Israel's army said in a statement that the gunman stepped out of a vehicle and opened fire before fleeing the scene. The army was focusing its search for the gunman in the nearby Palestinian city of Ramallah, and said it had closed entry points to the city. The fatal attack came on a day of heightened tension in the West Bank and Jerusalem. A Palestinian man was shot dead by Israeli forces at Al-Bireh, close to Ramallah, after the army said he had attempted a car-ramming assault on Israeli soldiers, one of whom was lightly injured. And early in the morning, Israeli police troopers shot a man dead near the Damascus Gate entrance to Jerusalem's Old City after he stabbed two border police officers. The Palestinian Authority's ruling party has called on Palestinians to step up their confrontation with Israeli forces. "We call on our Palestinian people to be alert, to escalate the confrontation, and to activate the security committees to defend our villages in every part of our land," read a Thursday statement by Fatah, the party of Palestinian Authority President Mahmoud Abbas. But in a separate statement, Abbas himself struck a different tone, condemning the violence, which he said harmed both sides, though he laid the blame for it with Israel. "The climate created by the policy of repeated [Israeli] incursions into the [Palestinian] cities, incitement against the President, and the absence of a horizon for peace are what led to this surge in violence, which we condemn and reject," Abbas's statement said. The charge of incitement was a reference to posters which have appeared in the West Bank in recent days showing President Abbas's face within the crosshairs of a gun. As part of its call for escalation, the Fatah statement also paid tribute to two Palestinians killed in separate Israeli army raids in the West Bank overnight, dubbing them "heroic martyrs" engaged "in the ongoing battle to defend the rights of our people." The two were suspected of carrying out earlier shooting attacks on Israelis, including one which happened Sunday near the Ofra settlement, less than two kilometers away from Thursday's fatal bus stop shooting. Seven people were wounded in the Ofra attack, including a pregnant woman whose baby was delivered prematurely but died days later. Israeli Prime Minister Benjamin Netanyahu has vowed a harsh response to further attacks. "Last night we settled accounts with the murderers from [previous] terrorist attacks ... and today we suffered a harsh attack in which two soldiers were killed. We will settle accounts with whoever did this. Our guiding principle is that whoever attacks us and whoever tries to attack us - will pay with his life. Our enemies know this and we will find them," he said. The Palestinian militant group Hamas praised Thursday's attack. The group's armed wing, the Qassam Brigades, did not claim responsibility for the attack, but warned of more to come. "There is still a lot in our pocket [that can be used] against the enemy. The fire under the ashes in the West Bank will burn the occupier," the group said in a statement. 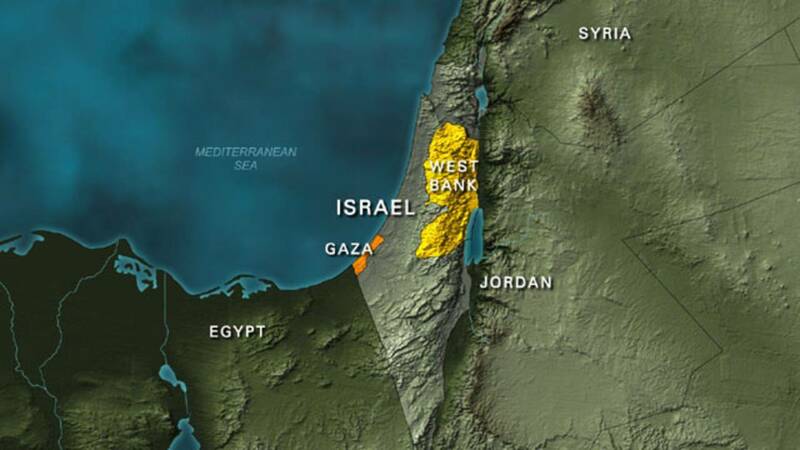 The West Bank is a Palestinian territory, whose administrative responsibilities are divided geographically between Israel and the Palestinian Authority. The Israeli military still maintains broad authority, controlling main roads and checkpoints, as well as having a presence in settlements.